September 30, 2017 – 3CW: Amir Jordan defeated Dragon Aisu and Gabriel Kidd and Luke Menzies and Rampage Brown and Rory Coyle and White Tiger in a gauntlet match to become #1 contender for the North East title. October 14, 2017 – TW: Polo Promotions (Jackie Polo and Mark Coffey) defeated Luke Menzies and Mikey Whiplash to retain the tag titles. October 21, 2017 – TGW: Luke Menzies defeated Bradley and Olly in a handicap match. October 22, 2017 – TCW: Luke Menzies defeated Sean Only by disqualification. Only retains the Open title. November 4, 2017 – STHML: The Beast defeated Luke Menzies. November 11, 2017 – 3CW: Luke Menzies and Si Swan defeated Ace Athletic (Ace Matthews and David Graves). November 26, 2017 – TCW: Luke Menzies defeated Dan Evans. December 2, 2017 – WS: Adam Maxted defeated Luke Menzies. December 8, 2017 – 3CW: Rampage Brown defeated Luke Menzies. December 9, 2017 – 3CW: Amir Jordan, Gabriel Kidd, Luke Menzies and Si Swan defeated Ace Athletic (Ace Matthews & David Graves), Oli White and Prince Ameen in a tag team elimination match. January 12, 2018 – Defiant #5 (Taped): Jurn Simmons defeated Luke Menzies. January 20, 2018 – TW: Luke Menzies defeated Dom Black to qualify for the TCW title match. Saxon Huxley defeated BA Rose, David Graves and Luke Menzies in a 4-way elimination match to win the vacant TCW title. January 27, 2018 – Grapple Live In Garforth: David Graves defeated Luke Menzies to retain the Grapple British title. January 27, 2018 – 3CW: David Graves defeated Luke Menzies. February 3, 2018 – RCW: Adriano Genovese defeated Luke Menzies. February 4, 2018 – TCW: Luke Menzies defeated Ace Matthews. February 10, 2018 – TW: Ryan Hunter defeated Luke Menzies. February 24, 2018 – 3CW: Nathan Cruz defeated Luke Menzies. February 25, 2018 – NGW: Justin Sysum defeated Luke Menzies. March 11, 2018 – TCW: Sheikh El Sham defeated Luke Menzies. March 16, 2018 – HOPE Evolution 59: Nathan Cruz defeated Luke Menzies. March 31, 2018 – NBWA: Alex Chambers and Chris Royals defeated Luke Menzies and Tony Russell. April 29, 2018 – TCW: Joe Rage defeated Luke Menzies. May 19, 2018 – 3CW: Rampage Brown defeated Luke Menzies to win the 3CW title. June 23, 2018 – SWE: Gabriel Kidd defeated Luke Menzies. 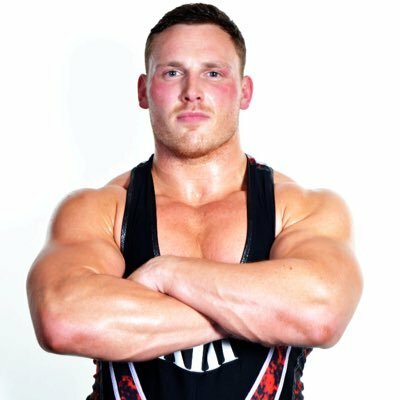 May 2018: Luke Menzies signed a contract to WWE NXT. August 25, 2018 – NXT Live Event: Dan Matha defeated Luke Menzies. August 29, 2018 – NXT: Keith Lee defeated Luke Menzies. October 4-5, 2018 – NXT Live Event: Stacey Ervin Jr. defeated Luke Menzies. October 13, 2018 – NXT Live Event: Matt Riddle defeated Luke Menzies. October 19, 2018 – NXT Live Event: The Velveteen Dream defeated Luke Menzies. October 20, 2018 – NXT Live Event: Matt Riddle defeated Luke Menzies. October 26, 2018 – NXT Live Even: Dominik Dijakovic defeated Luke Menzies. October 31, 2018 – NXT: Keith Lee defeated Luke Menzies. November 1, 3, 2018 – NXT Live Event: Matt Riddle defeated Luke Menzies. November 29, 2018 – NXT Live Event: Luke Menzies was in the #1 contenders battle royal for the NXT title won by Keith Lee. December 1, 2018 – NXT Live Even: The Velveteen Dream defeated Luke Menzies. December 7, 2018 – NXT Live Event: Brennan Williams defeated Luke Menzies. January 23, 2019 – NXT UK (Taped): Luke Menzies defeated Flash Morgan Webster in a dark match. February 1, 2019 – NXT Live Event: Matt Riddle defeated Luke Menzies. 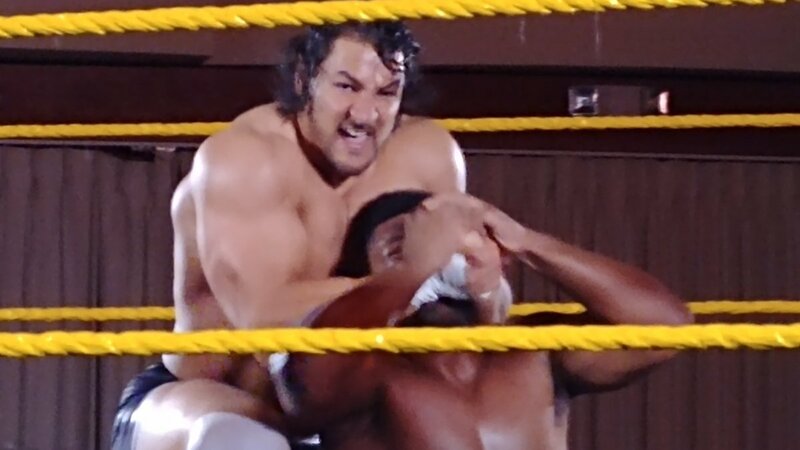 February 20, 2019 – NXT: Luke Menzies defeated Sean Maluta in a dark match.